The Grammy winner shared Willow’s disdain for Justin Bieber — and opened up about her 13 year marriage to Carey Hart — during a February 6 appearance on The Ellen DeGeneres Show. 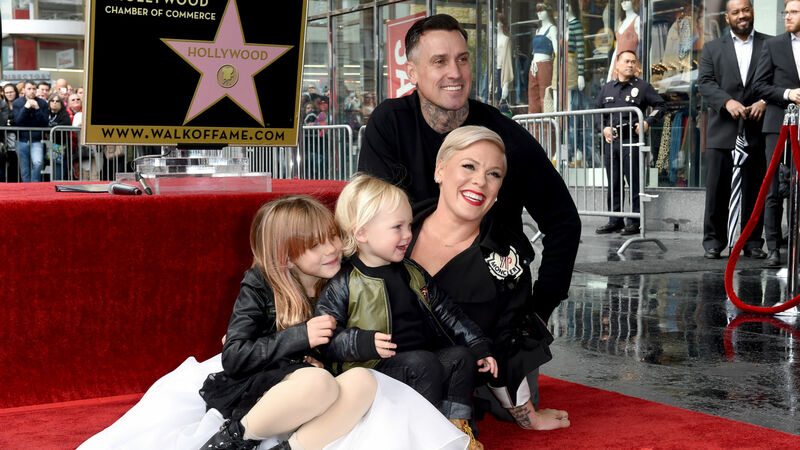 The “What About Us” singer, who is also mom of son, Jameson, 2, thanked her family on February 5, at the Walk of Fame ceremony. “Today, for me, is a celebration of something that my dad taught me and that is ‘to thine own self be true’ … There is a power in believing in yourself,” Pink declared. “You may not be the best that ever did it, you may not be the prettiest or the tallest or the funniest or the most talented. If you’re stubborn and don’t give up and you work really hard, no one else can ever be you. Today is an absolute honor. Today proves that.” Though Pink has said Willow finds her embarrassing, in that moment, there is no way the second grader felt anything but proud.